The paper presents the design of an adaptive web/mobile platform, called Counterobe, targeting the problem of obesity and weight management. The platform incorporates several behavioral, emotional and cognitive strategy features in order to motivate and mobilize the end users more effectively, while trying to overcome the problem of engagement in the long run. The interventions implemented promote: self-monitoring, problem solving, socializing, information retrieval, social support, self-efficacy. The platform follows a responsive approach that allows the provision of valid and accurate information based on the individualities of each end user. To support the maintaining of exercise and healthy life style and behavior regime over longer periods of time Counterobe application: (i) builds a network between specialists/experts (doctors, dieticians, psychologists), patients and their friend/net-friends, (ii) utilizes an Avatar which changes appropriately as user progresses, (iii) use a multi-disciplinary approach to support the end users in a tailor-made way. Obesity is a problem that increasingly expands in western societies, and it is one of the biggest challenges to public health according to the World Health Organization (WHO). This condition is caused by excessive accumulation of body fat, with extremely adverse effects on health (cardiac, neurological, orthopedic, psychiatric, endocrine problems, etc.) but also on the quality of life of an individual. Obesity increases the risk of developing many physical and mental conditions. WHO has been given it world epidemic characteristics. Obesity is one of the main reversible causes of death worldwide. It is estimated to be responsible for 2.8 million deaths each year worldwide (WHO, 2016). According to WHO, over the past ten years, 400 million adults are obese, with the majority of them being women. The “champions” of obesity are the US, Australia and Canada with obesity rates in these countries growing faster than the overall obesity rate in the world. While in the past, it was considered that the disease primarily affected the cities (at urban level) of high-income countries, nowadays obesity affects both developed and developing countries (except the sub-Saharan Africa countries, where obesity levels are still low). Globally, the number of overweight children in 2013 (age <5 years old) is estimated to be over 42 million. Most of them (almost 31 million) are living in developing countries (Childhood overweight and obesity, 2016). One method for “fighting” obesity is bariatric surgery (e.g. by placing gastric band, or through the removal of a portion of the stomach) (Bariatric Surgery, 2016; Bariatric Surgery Procedures – ASMBS, 2016). However, bariatric surgery is recommended only for obese people with a body mass index (BMI) of at least 40, and for people with BMI 35 and serious coexisting medical conditions, such as diabetes (Robinson, 2009). Moreover, it is an expensive solution with increased risk of complications. As prevention is the best treatment, a proper diet often accompanied with low calories and regular exercise may be the best option. In this direction, WHO identified physical inactivity as the fourth leading risk factor for global mortality. Physical inactivity levels are rising in many countries with major implications for the prevalence of non-communicable diseases (NCDs) and the general health of the population worldwide. The significance of physical activity in order to promote public health is a major issue. Thus, WHO developed global recommendations that address the links between the frequency, duration, intensity, type and the total amount of physical activity needed (World Health Organization, 2010). Of course, any diet or exercise plan has to be tailor-made to the individual needs of each person (i.e. lifestyle, etc.) as well to his/her health status (e.g. diabetic patient). 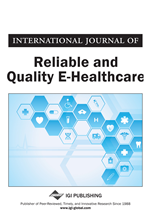 Advances in the area of Information and Communication Technologies (ICTs) allow the design and development of applications targeting to personalized healthcare services (Koumpouros, 2012; Koumpouros, 2016; Koumpouros & Georgoulas, 2016)). Electronic health (e-health) and mobile health (m-health) applications provide numerous advantages over other traditional methods. A crucial issue is to combine behavioral sciences with ICTs in order to gain the maximum effect of the intervention in the targeted populations. The European Commission has identified this issue and addresses joint research and innovation proposals for developing and demonstrating advanced ICT applications and solutions for healthy living. All innovations should build on advances in ICT while combining multi-disciplinary research involving behavioral, sociological, health and other relevant disciplines (European Commission, 2015).